Royal Island is most definitely traditional in style, and if that appeals and you like great value, then you’ll find plenty to enjoy here. The resort is very efficiently run and even when it’s full it doesn’t seem too busy. Perhaps it’s because the 150 rooms are spread around a large island - 800x220m - there are other resorts at this level that have more rooms on a smaller footprint. The property has an impressive array of facilities on land and water, and it's also noticeably maintained to a very high standard. It's a very mature and pretty island. The vegetation is lush all around so there’s plenty of natural shade and the interior gardens are simply stunning - beautifully manicured and maintained. 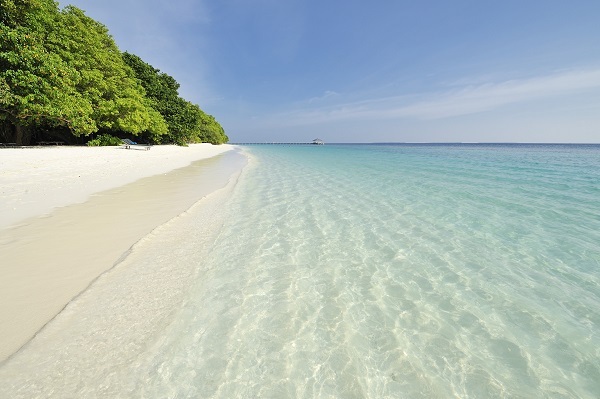 Some will undoubtedly miss the sandy pathways we all love about Maldives. The paving definitely makes it feel more resort-like, but you can still be barefoot if you wish (although pack some flip flops to be on the safe side). The rooms are cabin-style and spacious, old-fashioned, full of varnished wood and fancy bathroom tiles, and won’t suit all tastes, but they are almost all detached with a nice veranda and dedicated sun loungers on the beach. Service is friendly and efficient throughout the resort. The All Inclusive Plan is quite basic but at this price point it’s no great surprise. Food is varied and good, although you will be assigned a table for your whole stay. Some resorts do this in order to better manage meal service and it means you strike up a nice relationship with your waiter over the course of your holiday. 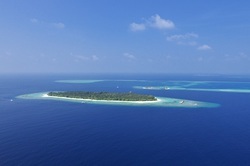 The reef is so easy to access, only 8m from shore in some places, up to a maximum 70m. The nicest stretch is on the arrival jetty side and it runs from one tip of the island to the other. Snorkelling gear is FOC and you have to collect it daily at 9am and return by 5pm the same day. Be prepared for a queue at water sports in the morning because of this, but it means the gear is well maintained and everyone will get a set. Ideal for a quiet island getaway without breaking the bank! Stay for 5-9 nights and receive one night free on meal plan booked. Stay for 10-20 nights and receive two nights free on meal plan booked. Stay for at least 21 nights and receive three nights free on meal plan booked. Up to 2 children under 12 stay free when sharing a room with their parents. Valid for stays between 28 December 2018 and 27 December 2019. Book by 27 December 2019. 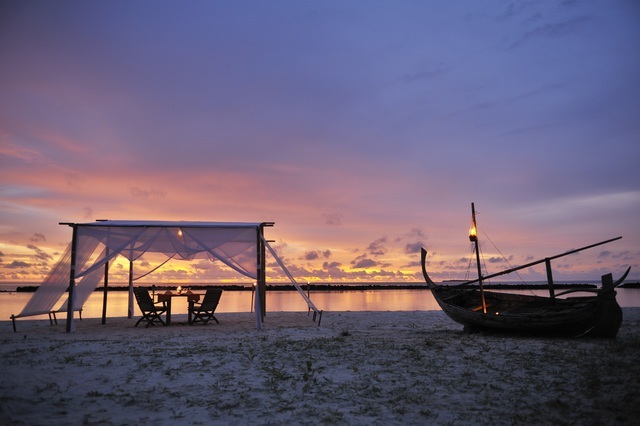 Stay between 5-6 Nights and receive a 5% Discount based on Meal Plan Booked. Valid all year. Stay between 7-9 Nights and receive a 10% Discount based on Meal Plan Booked. Valid all year. Stay 10 Nights or more and receive a 15% Discount based on Meal Plan Booked. Valid all year. 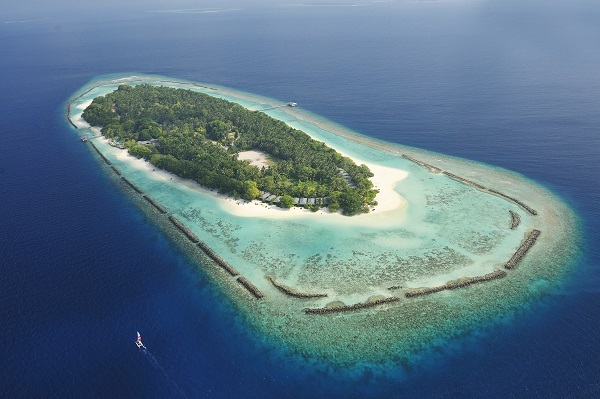 Royal Island, situated in the Baa Atoll, is just 118km from Velana International Airport, approximately 20 minutes by domestic flight. 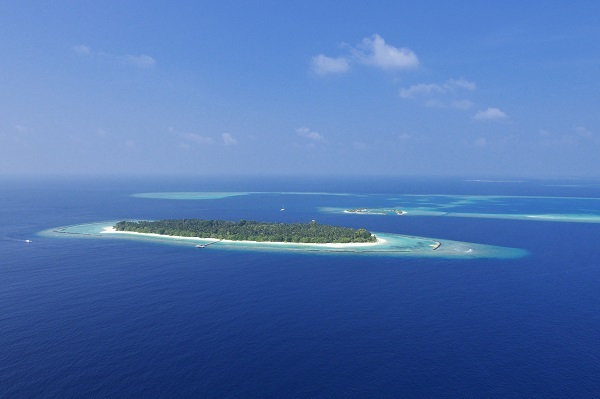 The resort measures nearly 800m in length with a width of 220m. 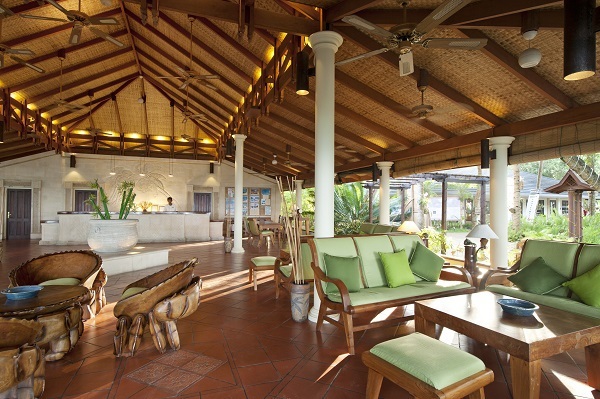 With its fine array of palms and banyan trees, the interior has a lush, tropical feeling. 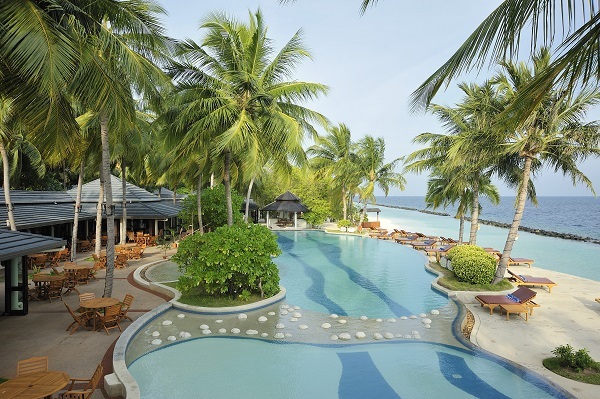 It has great beaches and facilities, including two restaurants, two bars, a pub, spa, various sports and recreation activities, and excellent diving in Baa Atoll.